In Part 2 of the trailer we will take a look at the engine, visit the engineers where the crank shaft was re-ground, head skimmed, new liners fitted and work was done on the valves. 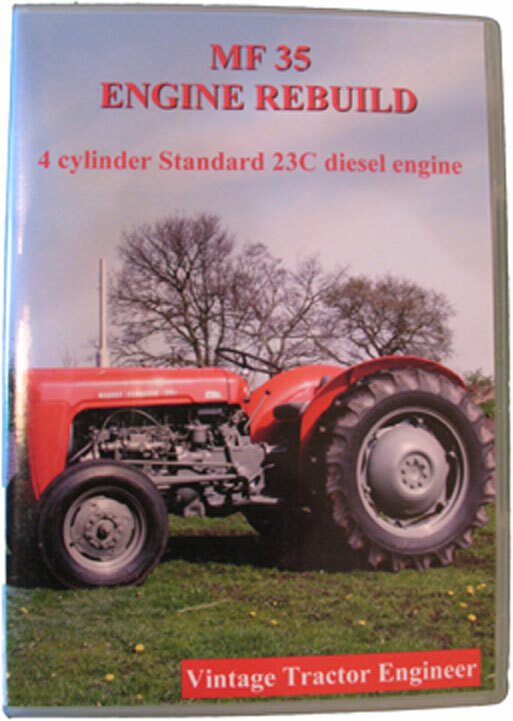 Regular visitors to this website will know that Vintage Tractor Engineer likes the 4 cylinder engine in the ’35. However, it was fitting of the 3 cylinder Perkins engine into these tractors that made them so sought after by farmers accross the world. Although there are many 23C tractors still working on farms and smallholdings, there are probably many more Perkins powered tractors still undertaking the tasks they were built to perform. It was this 3 cylinder engine which made the tractor renowned for its reliability. Because these tractors were such reliable workhorses and because they are still useful machines today for many tasks on farms the tractors have worked, and worked and worked. Who would have thought they would still be working 50 years after leaving the factory. Many of the engines have been rebuilt and may now be again showing signs of wear. We have worked on lots of tractors that have had less than perfect rebuilds, where corners have been cut and as a result the engines are not running as they should be. So all in all, many people are still looking to renovate their engines and hence VTE’s Engine Rebuild project for the A3.152. In the past many machines have had less than satisfactory services, coupled with lower specification oils than we have available to us today. Park Engineers (our local engineers) say they only do a third of the crank re-grinds compared to 20 years ago, and when asked why they reply “better oils and routine service intervals” – as simple as that! So with a thorough engine rebuild and the availability of modern engine oils these refurbished engines should be good for another three generations of farmers and tractor enthusiasts. Do you have one of these tractors? Watch for Part 2 of the trailer and let us know if you have any tips or tricks you used when rebuilding your engine. We have been promised delivery of the DVD’s on 31st December, so they will be up for sale in the first week of January. I have a 1961 MF35 with the A3.152 engine. Bought it 18 months ago and it’s doing it easy on my hobby farm – slashing and the odd bit of rotary hoe work. Although it’s running beautifully at the moment, I don’t know the history and I really want to gradually restore it to as-new condition over the next couple of years. So like many others, I’m keen to know when both parts of the video are complete and available for purchase. These old beauties deserve the best in my view. The DVD will be a two disc set. The first disc is now fully completed and working, which includes all the strip-down and the assessment. We filmed some time ago at the engineers and have got started re-assembling. I always have trouble pinning Ian down to do a bit more – people’s tractors keep breaking down and that seems to take priority! Should be done for later in the year. A.T.S. sounds interesting. Did you buy direct from them or through a parts supplier? Just looking for an update on the possible timing of completion of the A3.152 DVD – before the end of 2012? 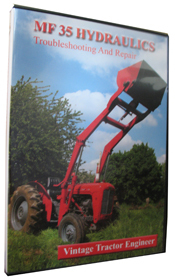 I know that production of a DVD must be very time consuming and that you have other farming ineterests to look after! Will be placing an order immediately it is available and I will try and raise the profile through the Friends of Feguson Heritage Forum of which I am an active member. Can I just mention that with my own restoration I have sourced engine parts (rebuild kit plus new cylinder head) from a company called A.T.S. England – quality appears to be absolutely excellent. Apparently they have been on the go for a long time and, until a couple of years ago, only supplied OEMs. They are now developing a distributor network to sell to the wider world. If there was an option for preorder I would use it 🙂 Loved the 23c film! Really looking forward to this DVD, when do you think it will be on sale? 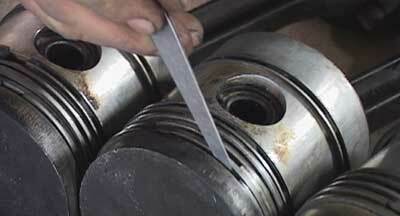 I’m interested in how and what tools are required for cylinder liner replacement. I am a fifteen years old boy from Norway, and got one of those tractors. I got it from my grandfather, and it may have been used for 7000 hours, or more!! Whats bad, is that my grandfather had never used to change oil or something, because it have always been very reliable. Now it is leacing oil from underneath the tractor, because of an bad crank-shaft, and getting much black smoke because of oil in the cylinders or something. Then, some months ago I started a rebuild of the whole tractor, first starting with the engine. What I was doing very wrong was that I let the injectorpump standing unprotected, and it may have got some dust and dirt in it. I´m wondering if you may could tell (maybe in the movie) a bit of the injectorpump and if it is best to get a new one, since it is already very old, or just get it serviced by an engineer. Final I just want to say the other movies you have made is great, and help me much, even if it is of an other cind of engine. Im really excited of your coming movie!!! Although I’ve rebuilt my 35’s 3 cylinder Perkins engine recently, I’m excited about this good news; I’ll be sure now what I’ve done correct and what I’ve done almost correct :-). I did not open the diesel injector pump and now it is leaking fuel on the top. Can you be so kind to e-mail me a diagram (exploded view) of the said part, and special instructions, if any, on how to strip and assemble the pump. I want to fix it myself, if possible.